The international consulting residency course at Drexel LeBow offers students a unique combination of real-world consulting and international travel. In this class, students act as consultants to a real international company and experience international business firsthand. Ten weeks of the course take place on campus, with student-client interaction facilitated virtually. During the final week of the course, students travel abroad on an international residency to present their final recommendations to the client in person. During the one-week international residency, students also participate in company visits and cultural experiences. The client for this course is Anschutz Entertainment Group (AEG) Worldwide, a sporting and music entertainment organization and is part of the world’s largest owner of sports teams and sports events. In September 2019, AEG will open a state-of-the-art hockey and entertainment arena in Lausanne, Switzerland. Students in this course will develop recommendations for AEG’s new location in areas such as: pricing strategies, competitive analysis, strategic partnerships, alternate revenue streams, French and German language entertainment, and more. The first part of the course will take place on campus, with student consultant-client interaction facilitated virtually. After completing ten weeks of distance consulting, students will first travel to Lausanne to meet with AEG staff and deliver final presentations. Then, the group will transfer to Rome to participate in other international business experiences such as company visits, academic lectures, and cultural excursions. Learn more about previous international consulting residencies here from the Dornsife Office for Experiential Learning. 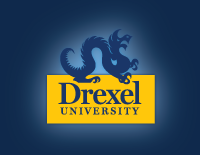 Eligibility: Open to all undergraduate students at Drexel University. Priority will be given to pre-juniors, juniors, and seniors majoring and minoring in general business, analytics, marketing, international business, economics, real estate management, entertainment management, hospitality, sports management, computer science, international studies, French language studies, and German language studies. Credit: This is an international consulting course and residency. Students will be registered for MGMT 380 – International Business Consulting, 4 credits as part of their fall 2018 course load. The course will meet as a regular fall term course taught by Professor Chris Finnin. The week after the term ends, (December 16-22, 2018), students will participate in an international residency to Lausanne, Switzerland and Rome, Italy to deliver their final recommendations to the client and participate in cultural activities. Visa: U.S. citizens may travel to countries within the Schengen Zone without visas. Students of other nationalities must check with your own embassies to confirm whether a visa is required for entry. The Dornsife Office for Experiential Learning will supply any supporting documents necessary for tourist visa applications.